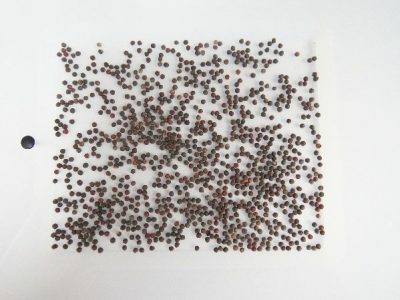 The TSW (thousand seed weight) is the starting point for pathology testing as it conditions the weight of the sub-samples and therefore the number of seeds for the analysis. Until now, TSW determination has been carried out manually or using a seed counter, methods that are time-consuming and can lead to errors. The optimisation and rationalisation of this determination was necessary. 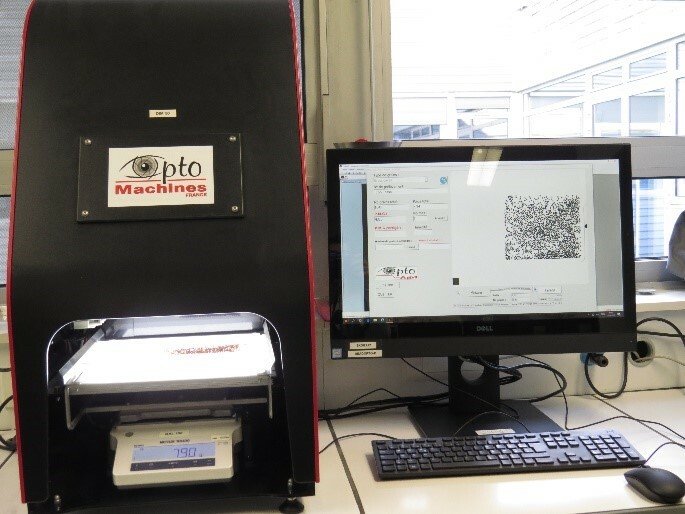 GEVES has validated the use of a new tool, the Optomachine, for determining TSW. It is based on an image analysis system coupled with weighing. The validation was carried out according to the GEVES method validation procedure. The validation plan consisted in producing the MMS from the average of 3 repetitions of 100 seeds counted manually or by seed counter in the laboratory and comparing it with the value obtained by the user of the Optomachine, then by combining the 3 repetitions. This was carried out on 68 samples of various species with different biometric characteristics. Through this study, we identified the need for vigilance on the physical condition of the lot (e.g. stuck or dirty seeds) and the spreading of seeds. The implemented method takes these observations into account. A further study has been initiated to validate the TSW for small seeds.